Baby-Snatching Practice Blocked Motherhood For 20-million Seconds - This Can't Be Happening! The piercing, bone-deep pain for a parent from having their child forcefully snatched away by authorities is a hurt Debbie Sims Africa knows in horrific ways. The immense suffering some immigrant parents currently experience — triggered by the child-snatching/ family separation anti-immigration policies pursued by the Trump Administration on America’s southern border – is something that impacts Africa very personally. On August 8, 1978 authorities in Philadelphia, literally snatched Africa’s two-year-old daughter from her arms. A few weeks later when Africa gave birth to her son, Philadelphia authorities snatched him away also. For more than 39-years Africa could not do what she wanted to do all her life: be a lovingly embracing, nurturing and protective mother. Those 39-plus years Africa lived with that agony of unfulfilled motherhood are more than 467-months: more than 14,200-days, more than 341,640-minutes and more than 20.5-milion seconds. 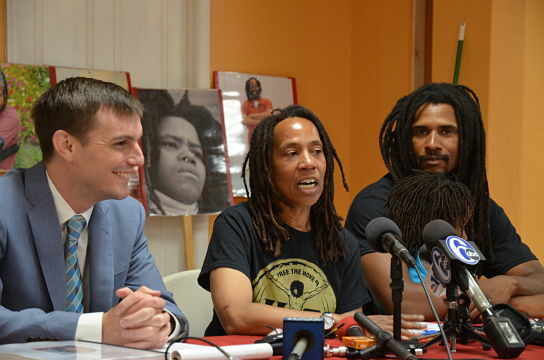 Africa and eight other MOVE members (five men and three women) were convicted for that Philadelphia policeman’s death and sentenced to identical prison terms of 30-100-years. Africa, during a press conference following her release, said seeing the cruel separations on the southern border “brought back emotions” for her. The emotions Africa felt watching Trump’s immigration enforcement practices palled in comparison to the emotions she felt arising from the reality that she had to leave her MOVE colleagues in prison, including the two surviving MOVE women who shared a prison cell with her. “I was happy to go home but hurt that they are still in prison,” Debbie Africa said, describing how her MOVE member cellmates, Janine and Janet, helped her pack to leave prison. One of the still imprisoned MOVE 9 men is Debbie’s husband, Michael. Debbie Africa said she did maintain contact with her daughter and son (who was born in a prison cell) throughout her 39-plus-year imprisonment. Yet, she noted that sharing a few hours with her children in a prison visiting room is not the same as full-time, real-time mothering. Debbie and fellow MOVE members Janine and Janet each saw the Pennsylvania Parole Board on the same day. Each had similar unblemished prison records, each were credited with positively mentoring other inmates, each were praised for helping keep calm in the prison and each – for the first time ever – had a release recommendation from Philadelphia’s new District Attorney. Then again, arbitrariness and abuse riddled the MOVE 9 trial. The judge who convicted and sentenced the MOVE 9 during a non-jury proceeding said he meted out identical sentences because they “were a family” and that he therefore would sentence them as a family – a stance that made a mockery of the so-called maxim of prison time fitting the crime. 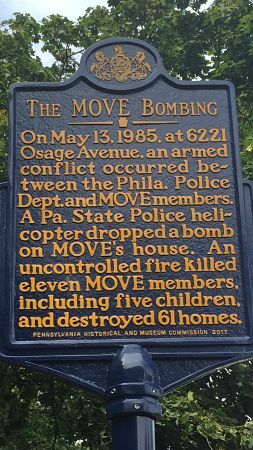 The arrest and imprisonment of the MOVE 9 unleashed a chain of events that culminated in the horrific May 13, 1985 incident where Philadelphia police bombed another house occupied by MOVE members and deliberately allowed an inferno sparked by that bomb to burn, preventing fire fighters from trying to put it out. Next PostNext Why is the Six-Sigma Management Model Still Praised When It Led to GE’s Collapse?